How to hire the right employee – are you making these mistakes? Employers must hire enough staff to ensure the smooth operation of the business. But how do you select the right candidate for a position, mainly when there are too many candidates available to interview. In fact, the internal hiring process is rather a difficult matter for all employers. If a mistake is made during the recruiting stage, the company can face negative consequences of having the wrong sort of employee mix, and maybe some legal issues to boot. It is essential recruiter to recognize and avoid the common mistakes that are made during an interview. Some employers want all their employees to be alike or just like them, with the same sort of strengths and weaknesses. But in that case, there will be no diversity in their teams and the weaknesses of work culture won’t be rectified by someone who has better work strengths. The recruiter should be impersonal in attitude and consider only the qualities that will suit the company or department’s open position. Temp services provided by the staffing agencies are more impartial in hiring the best candidates for their client companies. Many employers show a preference for a specific educational institution and like to hire graduates from these organizations without properly checking their personal capabilities, which can prove to be a serious mistake. Moreover, the recruiter should not hold any positive or negative notion about a candidate, based on first appearance; since many people can turn out to be valuable assets for their companies, regardless of appearance. These decisions could also lead to serious EEOC and legal ramifications. The recruiter should set up a questionnaire that will test the exact capabilities of the candidates and their suitability for the open positions. A pre-structured interview will find out the hidden qualities of every candidate, so that the best one can be hired. The services offered by staffing agencies – screening, references, and all-inclusive interview processes – are highly efficient for discovering the most competent employees for their clients. The recruiter should find out if the candidates have undergone extra training or completed courses, gained licenses or certifications to acquire the skills they will need to fulfill the required job skill set. If the necessary skills are missing, even post-recruitment training cannot help the new employee learn everything he needs to do. Calling past employers to verify stated skills is also important. It is the duty of the recruiter to let the candidates know in detail about their probable job duties in their company. The work culture and the salary structure should also be discussed with the candidates so that the applicant can have the option of backing out at that time if he finds the job not suitable for him. That will save a lot of grief and extra effort if that person later discovers the job and his skills don’t match or wasn’t what he expected. Flexicrew Staffing has the expert know-how and resources to help you hire the right employee that you might not find on your own. Let us assist you in finding the right person for your small or mid-size business. Call us TODAY! In October every year millions tune in to Major League Baseball as the playoffs begin. Many – maybe someone in your family – have been a fan since grammar school, so they’re filled with excitement. Everything reminds us recruiters of baseball! We at Flexicrew find that baseball can teach business supervisors, HR managers and recruiters how to win at their jobs. Baseball teams labored 6-months for 162 games, through a whole season to make it to the playoffs. Now, coaches have the fear if their top talent will perform now at crunch time. Hiring managers can feel a scary sensation (it’s almost Halloween) parallel to these teams’ coaches. All they have accomplished over a lengthy period of time can be spoiled by one key hire gone wrong. A recruiter understands that pressure also – spending time becoming acquainted with the client’s open position requirements, reviewing resumes, interviewing candidates and then…one false step anywhere in the process can ruin the expected hiring outcome. Want to prepare your workforce for the big leagues? It may be simpler than you think. It’s because baseball can teach business hiring managers several useful lessons. Reflecting on this connection between hiring and baseball, here are some short lessons to take into account during the MLB playoffs. Sometimes in hiring, the ‘high-flyer’ candidates don’t automatically yield the best outcome. Like in baseball, there is a reason in business organizations are called ‘team.’ And the most successful teams combine skills to achieve the best outcomes. The new hire must be good, but team flexibility is crucial. It takes more to win than just the most gifted individuals. The business team, like the baseball team must be talented and versatile over a variety of areas and conditions. This season, the Cleveland Indians represent a vivid story for hiring. After losing a total of 55 games Even if you fall short 55 times, (as Cleveland lost that many games) sooner or later you will break the streak and when you do, it can be exhilarating. Cleveland then went on to set a record for consecutive wins in a season with 22 straight! Were they exhilarated!! It’s easy to give up as a recruiter – the job can be discouraging and, in some cases, downright overwhelming. When a recruiter’s placement falls-through, or an employer’s new hire fails to deliver, or you simply have an off day, remember the Indians and remember you can’t be great if you don’t keep going to bat. There’s always an opportunity to contribute in baseball. A player can strike out on his first three at bats or make three errors in the field, yet still hit the game-winning homerun in the bottom of the ninth-inning. The same goes for working. For your new temp workers their first three attempts at learning a complex process may not turn out the way you want, but that doesn’t mean the temporary staffer can’t practice, and with your coaching, improve his skill at the task. Every MLB team employs scouts in all major league cities. There is a ton of effort that goes into evaluating players – both minor leaguers as well as big leaguers from other teams. Baseball teams want to select quality players who give performance and will also fit with their teammates. Some research points out that in business, the majority of newbies hired into new roles leave within a year. The primary reason is fit, or the job wasn’t as expected, or the organization wasn’t as expected. Fit is critical in a tight talent market. There is little room for error. The disruption of a bad hiring decision is costly for the organization and for the individual. A key is making sure the job people actually get when they join and the job you sold them in the interview process is the same. Making sure they are the best talent for the work you need done, helps everybody win. The stud pitchers in the majors have a variety of pitches for every batter and pitch count. They have a go-to pitch which they feel confident will be a strike in every situation – for every batter. Similarly, an HR manager or a recruiter needs to know how to shine in every phase of recruiting/hiring. It’s like a baseball game with both strategy and timing and recruiters and HR must recognize their capabilities and their drawbacks to achieve their goals. The best way to know and enhance your HR capabilities is to practice them consistently until you are at the top of your game. The key to maintaining your momentum is experience. your team will score game after game. Want a heavy hitter to ‘go-to-bat’ for you with staffing, please give Flexicrew Staffing a call. If you bite off more work than you can chew, let Flexicrew pinch hit for you with temps around the holidays and the year-end rush. Disaster Response Teams READY! Apply now! LOCAL STORM CLEAN UP WORK! We are hiring debris monitors for the Greater Atlanta Area. Responsible for estimating & recording debris amounts and distributing tickets to truck drivers. Temporary position working 7 days a week 12-14 hours per day. Must have own vehicle, proof of insurance, pass drug screen & background check. Changing careers takes focus and commitment. To be successful, you’ll need to develop short-term, intermediate and long-term goals, and decide on the steps you’ll need to accomplish them. Once you do that, it will be a lot easier to take the plunge into a new line of work. Start by researching the marketplace to identify expanding industries. Search the Labor Department’s Occupational Outlook Handbook, job boards and the business press to see what’s areas are most in demand. Next, take assessment tests to discover your hidden talents and jobs that fit them. Leading tests include the Myers-Briggs Type Indicator, Strong Interest Inventory and Campbell Interest & Skill Survey. Also, ask individuals you know personally and professionally for their insight into occupations that might be a strong fit for your background and skills. Once you’ve decided on a new path, do some online research and networking to determine the skills you’ll need to qualify for jobs that interest you. If you lack key credentials, consider signing up for volunteer work enrolling in classes to bridge the gap. Next, revamp your résumé to highlight skills and experiences that are most relevant to your desired new line of work. A professional career coach may be able to help. When applying for jobs, craft cover letters that will help employers understand why you’re looking to change careers and how you can add value. Similarly, prepare for interviews by crafting 30-second introduction that sums up what you can do for employers. Be punctual. If you’re running late, call the recruiter to let him or her know. That is better than just nonchalantly showing up late, looking like you disrespect that person’s time (and ultimately yours, too). There’s no reason why you should not be punctual, though. Leave plenty of time, and try to arrive at least 10 minutes early. The worst that can happen is you get stuck in traffic and end up arriving on time or a bit early. Be courteous. Now that you’ve arrived in the lobby with time to spare, let’s say you’re sitting there for fifteen…twenty…even thirty minutes. Don’t look miffed. The worst thing you can do is look annoyed. Yes, your time is a commodity, and so is theirs. How many times have you had important meetings on your calendar, only to get pulled in several directions? Remind yourself that their tardiness is no reflection on lack of interest of you as a candidate. They’re doing their best, so the best thing you can do is shrug it off when they’re late to greet you and start the interview process. It’s technically no big deal. Be nice to everyone you meet. This goes without saying. From the very first conversation you have with a recruiter, to the courtesies with the receptionist, to the friendly banter in an elevator – all eyes are on you. Yes, if you’re rude to the receptionist or anyone else for that matter, it will get back to the recruiter. And when two candidates with nearly identical résumés need to be evaluated, you can bet any rudeness in the lobby or elevator will make its way to the boardroom. Make small talk. This is particularly important if your interview involves a meal. School yourself on current events and popular movies and books to keep the conversation going. Be sure to steer clear from controversy, too. Sometimes we’re so immersed in technology and the job search process that we forget to be ourselves. This is your chance to shine! Talk about a hobby or favorite vacation spot. Give them every reason to like you. Most candidates overlook this part of interview prep, and it’s one of the most important pieces to ace! Ask questions. A common pet peeve of interviewers is when candidates don’t ask any questions. Really? You don’t have one single question about the role, the company, the future of the role or anything else? There’s no excuse. It’s OK to repeat questions or ask them in a slightly different way to different interviewers. Plus, as conversations develop within the interviews themselves, you may be curious about certain aspects of the role or company. This is your opportunity to interview employers the same way they’re evaluating you. Go ahead and ask questions! Does a new project mean there will be additional travel in the role? Why is the job open? How long has he or she worked there? If you’re at a loss, ask about the interviewer’s career. You can’t go wrong. Send a thank-you note or email. This is a must! Again, when there are countless qualified candidates vying for the same role, every detail counts. It’s not unlike losing weight – sure the overall goal may be a smaller number on the scale, but replacing potato chips with crunchy celery will do a body good. The same applies here in that every move matters. Your thank-you note can be succinct, but it also must be error-free! Don’t pester. When the interview comes to a close, pay close attention to the timing, and remind yourself it’s not on your clock. (If that was the case, you would have been hired a few months ago!) Most offers and salaries need to get a few levels of approval, so take a deep breath. Ask about next steps, where they are in wrapping up interviews and when you can expect to hear back. Yes, you should be diligent in following up, but please don’t be that guy or gal who emails every single morning for a status update. Be a tactful negotiator. Sometimes offers get reneged due to how the candidate behaved during the negotiation process. Hold your ground, but remain professional at all times. Hiring managers often wonder if the candidate operates this way right now, how will he or she operate in front of clients? So go out there, and with these few tips up your sleeve, you’ll be HIRED in no time! Flexicrew employees enjoy volunteering and supporting our area communities and schools. This month we had the privilege of partnering with Exterran Holdings, Inc. and participating in the 2014 Brittmore Back-to-School Charitable Giving Eve…nt. This event benefits less-fortunate K-5th grade students at Bear Creek Elementary School in the Katy Independent School District in Euless, Texas. Our donation will help supply students with backpacks and grade-appropriate school supplies. It is our goal to help encourage and support the future successes of tomorrow’s workforce. 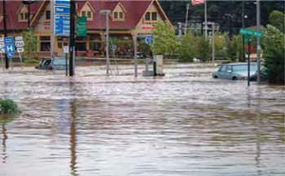 When a natural disaster does strike, Flexicrew has a team that can help with the aftermath. Call us for any Environmental Techs that you might need. Flexicrew also offers OSHA Hazmat/Hazwopper training. Hurricanes are strong storms that can be life-threatening as well as cause serious property-threatening hazards such as flooding, storm surge, high winds and tornadoes. Preparation is the best protection against the dangers of a hurricane. Know the difference between the threat levels and plan accordingly. Know the difference between watches & warnings. Hurricane Watch is issued when hurricane conditions are a threat within 48 hours. Review your hurricane plans. Get ready to act if a warning is issued, and stay informed. Hurricane Warning is issued when hurricane conditions are expected within 36 hours. Complete your storm preparations and leave the area if directed to do so by authorities. Follow these tips to make sure you and your family are prepared to stay safe during and after a hurricane. Listen to a NOAA Weather Radio for critical information from the National Weather Service (NWS). Check your disaster supplies. Replace or restock as needed. Bring in anything that can be picked up by the wind (bicycles, lawn furniture). Close your windows, doors and hurricane shutters. If you do not have hurricane shutters, close and board up all windows and doors with plywood. Turn your refrigerator and freezer to the coldest setting. Keep them closed as much as possible so that food will last longer if the power goes out. Create a hurricane evacuation plan with members of your household. Planning and practicing your evacuation plan minimizes confusion and fear during the event. Find out about your community’s hurricane response plan. Plan routes to local shelters, register family members with special medical needs and make plans for your pets to be cared for. Obey evacuation orders. Avoid flooded roads and washed out bridges. Drive only if necessary and avoid flooded roads and washed out bridges. Stay out of any building that has water around it. Inspect your home for damage. Take pictures of damage, both of the building and its contents, for insurance purposes. Use flashlights in the dark. Do NOT use candles. Watch animals closely and keep them under your direct control. Rash hiring decisions – how much can they cost you? It happens: You have a position that needs to be filled right away, so you hire quickly so that the job gets done. After spending time (and money) hiring, training, and paying this new employee, you realize…this just isn’t going to work. They’re not the worst employee, but their performance is no more than “ok.” What next? And how do you avoid making the same mistake in the future? Making these rash hiring decisions can cost you big – think almost a cool million $ big. In fact, hiring a mid-level manager for 2.5 years, terminating, and replacing that person, what with costs of onboarding, compensation, severance packages, and other factors can cost around $840,000, according to recruiter Jorgen Sundberg (via inc.com). The cost of hiring a mediocre employee comes in various forms. As pointed out, there’s the monetary cost of hiring, training, firing, and replacing someone. Consider as well that these employees tend to need more time and training in attempts to get them to improve. And “average” work will filter through the rest of your business…and to others who work with you. You don’t want to lessen your competitive status or mar your corporate image by keeping employees who bring you down. If you feel you have employees that don’t quite meet your expectations, you can help them improve through training, mentoring, and regular performance meetings and benchmarks. This may well help an average employee rise to the challenge, especially if you make your objectives specific, measurable, and concrete. To cut off the problem before it begins, start by making your job description thorough: Make it a written record of exactly what you’re looking for with regard to experience, qualifications, and job duties/requirements. You can then use the latter as benchmarks for the employee to follow. Remove the candidates who don’t meet your standards — bearing in mind that someone who doesn’t have the exact set of skills you’re looking for but has qualified transferrable skills can fit the bill as well. Perform phone interviews with qualified applicants and finally, do in-person interviews with the final candidates, using that job description as a screening tool. Remember to utilize staffing agencies to help streamline the process for finding quality candidates. The time and money you take to hire the “right” employee versus an “acceptable” one is absolutely worth the cost because a quality employee will give you a superior long-term investment. June is National Safety Month and we want to see our employees working safely on the jobsite and of course show it off on our Facebook page. As our recruiters conduct random site audits and jobsite visits, we’re going to be snapping a quick picture of one employee or a small groups who are working safely. Photos will be judged by a committee. Contest will last from June 1- June 30 and winners will be announced July 7th. We’re excited to announce that we’re rolling out a brand new Employee Referral Program. Refer a friend to Flexicrew and make sure they tell us who sent them. After they work for 90 days, just give us a call and you’re qualified to receive a $25 gift card. It’s that easy. Loads, transports, unloads and assists in selecting cables, ropes, pulleys, winches, blocks and sheaves, according to weight and size of load to be moved. – Attaches pulley and blocks to fixed overhead structures, such as beams, ceilings and gin pole booms withs bolts and clamps. – Sets up braces and rigs hoisting equipment using hand tools and power wrenches. Industrial Carpenters -Must have 3-5 years experience and have dependable transportation. please see below job descriptions. drywall, plaster, concrete or brick. and window frames, and other types of furniture. May install and repair modular furniture. 3. Secures furniture for earthquake preparedness. 4. Cleans, maintains, adjusts, calibrates and services equipment used in the performance of duties. See www.flexicrew.com/openings for all current openings. I’m on Facebook! Now How can this help me? Once upon a time, the idea of social media recruitment was revolutionary. Now, Twitter, Facebook, LinkedIn are now some of the most prevalent job searching tools currently available. According to Staffing Industry Analysts, as many as 94 percent of employers and recruiters in the United States have said they plan to use social media in their efforts to find new employees. Connect with passive candidates. Passive candidates are busy employees, which makes them desperately hard to pin down. You might not have the time to convince a passive candidate to look for new opportunities, but using social media you can build a relationship with these busy movers and shakers. This way, when a great job comes along, they’ll be more likely to listen to your wise counsel. Best of all, because social media can be viewed and updated from an office or on the road from a mobile device, the busy passive candidate never has to pause to connect with you. Share your positions. Social media isn’t just great for connecting with candidates, it’s also a great way to open up a two-way dialogue and help job seekers connect with you. Using social media, you can promote job openings and give interested job seekers a chance to find great positions. When hiring for Flexicrew, we use Twitter, Facebook, and LinkedIn to promote new openings. We also used these social channels to give candidates a view into the company culture. As staffing professionals, it’s a great idea to use social media to promote your client’s company culture and unique selling points, making their jobs more attractive to the best candidates. This type of myth is dangerous. It allows employers to deny that there is anything that can be done to address violence, and to step back from the responsibility for violence prevention. It is suggested that employers pay close attention to how an employee speaks to others in the workplace. It is a fact that, since only 5% of severely disturbed individuals are actually violent, and the vast majority of those individuals are either incarcerated or hospitalized, most violence is not committed by “crazy” people. Myth # 3: Workplace violence is a guy thing and women shouldn’t worry about it. Women share the field almost equally when it comes to being the attacker and the victim. Women are involved in workplace violence to an excessive 65% and that to in all non-fatal workplaces. Myth # 4: Security guards and metal detectors will prevent workplace violence. The security measures can do little to stop a determined perpetrator of a crime. In fact security guards and detection devices can do little more than cause an attacker to think more creatively. Myth # 5: He just “snapped.” We can’t prevent it because there are no warning signs. In 80% of all incidents of workplace violence, the warning signs that went unheeded. Awareness heads the list and is the easiest and most successful means for surviving a workplace violence attack. Early awareness and action can save property, lives, and money. Myth # 6: We have insurance to cover the cost of damages: Most workers wrongly believe that they are covered completely by whatever insurance coverage is in place to protect the company. But you may find that your insurance policy may have clauses that exclude damages from certain types of actions. Myth # 7: It will never happen here. The truth is that workplace violence can happen in any business, at anytime, and anywhere. And, it does. Verbal threats of violence are a real warning sign, and one that cannot be ignored. 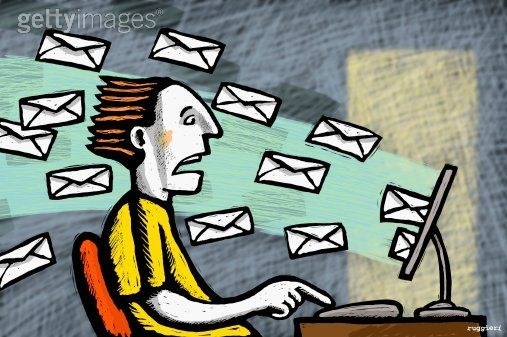 Everyone hates spam emails. They pollute your inbox, they could have viruses, and they take our precious time to delete. I’m struggling with this very issue right now and I just came across something that I found very useful. I didn’t know about this previously, so maybe some of you didn’t either! How to Report spam. Before you delete your spam, forward your spam to: spam@uce.gov. This is the Spam box for FTC (Federal Trade Commission). Mail sent to this box is investigated. If it is indeed spam, the original sender can be charged $500 per email. The more mail they get from different users but same spammer, the more it’s likely to be investigated. You can also report spam to anti-spam organizations such as SpamCop and KnujOn, who will report spammers to ISPs and government agencies. We are having a lot of eye injuries, debris getting in and causing pain and irritation. Does Flexicrew have any new ideas on how to avoid this? Great question! We were dealing with this very same issue recently. The answer might weirdly enough be – SPOGGLES. So, for those of you not in the environmental health and safety field, Spoggles is an industry term for safety eyewear designed to prevent airborne dust and debris from getting in our eyeballs. Airborne dust and debris is a leading cause of eye injuries in today’s workplaces. Spoggles = Safety + Goggles, with a random “p” thrown in there since “sgoggles” or “sagoggles” or “safoggles” sound even weirder. But looking nerdy and having to take care of your PPE and using good personal hygiene while at work are a small price to pay compared to losing your eyesight or getting a nasty infection in your eye from contaminated dust. So our Flexpert’s advice – Keep a supply of spoggles on hand. With some lanyards. And some no-fog. And to sum up: spoggles are real. Spoggles are good. Spoggles may save your eyesight. Wear them if you have them. Anyone involved in the construction industry would know that construction safety accidents are part and parcel of the industry. However, this only means that you should be doing all you can to make sure that they don’t occur. The next best thing to completely eliminating accidents is reducing them, or at least reducing the risk of them occurring. If you want to achieve this goal, you have to first understand what the main causes of accidents and deaths are on US construction sites. Providing a solution to a problem is not impossible without first knowing the causes of a problem. This category refers to dangerous contact between humans and heavy equipment. In the great majority of cases, cranes and trucks are the main cause of accidents and deaths. Apart from heavy vehicles, you must also watch out for falling objects and unstable walls. Now that you know the leading causes of Construction Safety Accidents, it’s time to make sure that you are aware of your surroundings and to report any issues to your supervisor or to Flexicrew. Why do YOU want to work for a staffing company? Get the inside scoop on new openings: Flexicrew works with a variety of companies. Many businesses turn to us to fill certain positions and never advertise the opening themselves. Save time: Flexicrew specializes in position types, industries, and even companies. Thus, we know the job market and know the cultures of the companies for which we are recruiting. Put flexibility and work in the same sentence: If you are looking for time to live life while still making ends meet, working with a staffing company could be the best career move you ever make. Staffing companies place you in part-time or contract work that fits your life. Maybe you want to take a month vacation or maybe you need the summers off to watch your kids while school’s out. Either way, Flexicrew can help you find a project or company that is right for you. Work part time and get benefits: When you go on temporary contract assignments for Flexicrew, you are employed by us and could be eligible for vacation, holidays, health insurance, and more. Go from contract to permanent: According to the American Staffing Association, about 75 percent of temporary and contract employees move on to permanent jobs. Thus, a temp job can be a great way to try out a company’s culture. The American workplace is about to get grayer. Nearly two-thirds of Americans between the ages of 45 and 60 say they plan to delay retirement, according to a report to be released Friday by the Conference Board. That was a steep jump from just two years earlier, when the group found that 42% of respondents expected to put off retirement. The increase was driven by the financial losses, layoffs and income stagnation sustained during the last few years of recession and recovery, said Gad Levanon, director of macroeconomic research at the organization and a co-author of the report, which is based on a 2012 survey of 15,000 individuals. Matt Stern, 51 years old, a former analyst at a Manhattan hedge fund, met with a financial planner in December, days before he was laid off and the fund announced its imminent liquidation. At the meeting, the planner projected that Mr. Stern could retire at age 62. But now, with his assets down 10% to 20% from their 2008 peak, he is looking for a job and retooling his expectations for retirement. “I might have to prioritize income over whatever calls to me on other levels,” such as travel or being involved in nonprofit organizations, Mr. Stern said. The labor force has been getting older for decades for reasons that range from longer life spans and better health to companies’ replacement of defined-benefit pensions with higher-risk 401(k) plans. But the stark increase in workers expecting to stay on the job—now 62%—was a surprise, Mr. Levanon said. After all, the stock market has largely earned back its losses, home prices are rising, and the unemployment rate is creeping down, all of which suggests workers should be feeling more secure. Many middle-aged Americans, though, drew down their savings during those lean years and now find that leaving the work force on their original timeline is no longer viable, he said. They are also facing low interest rates, an uncertain future for Social Security, and a lower likelihood of receiving employer health insurance after retirement. The uptick may be good news for some industries—notably utilities and power companies—that face disruptive skills shortages when older workers retire. However, senior employees can be expensive for companies, both in salary and health-care costs. In addition, amid anemic economic growth, these workers may block the pipeline for younger employees trying to advance their careers. In the long run, that concern is misplaced, said Kevin Cahill, an economist at the Sloan Center on Aging and Work at Boston College. Ultimately, many workers will still retire on schedule, Mr. Levanon added. Research shows that intentions don’t necessarily align with reality, and people often end up retiring as they had expected because of health reasons, job losses or simply a miscalculation of their own desires. On Wednesday, January 30th, Flexicrew will be attending the U.S. Chamber of Commerce’s Hiring our Heroes job fair. This completely free job fair will be held at the Xavier University Convocation Center, 1 Drexel Drive, New Orleans, Louisiana. Hiring our Heroes will take place from 9:00am-2:00pm and is for all veterans, active duty military members, guard and reserve members, and military spouses who are seeking employment. Although walk-ins are welcome, you may register for free online today at www.HOH.Greatjob.net. By Brent Beshore the CEO of AdVentures , ranked #28 on the 2011 Inc. 500 list of the fastest growing companies in the U.S. In an average week, I interact with over 500 people in some business capacity. These people vary from students and professors to venture capitalists and entrepreneurs. Some I’ve just met. Others I’ve known for years. Regardless of age, stage, or profession, it constantly amazes me the little things these very different people do to sabotage their future success. 1. Grammar: This is not something to “LOL” about. Misspellings, lack of capitalization, and generally poor grammar say you’re uneducated, inattentive to detail, or, frankly, just don’t care. Poor grammar is like a giant fluorescent warning sign that says: “Steer clear.” Please use spellcheck tools, reread your note, and if it’s something “important,” have others proof it, too. 2. Flaky McFlakerson: We all have our “off” moments when crap comes up, but consistently failing to show up or deliver quickly takes its toll. Chances are, you’re either disorganized or a megalomaniac. Either way, it’s a deal breaker. And no, your constant string of excuses doesn’t help. Just do what you said you would when you said you’d do it. 3. Quick Sale: Nothing’s worse than getting slimed at the cocktail party by the undercover used-car salesman. As a general rule, never ask to get before you give. Add value before you expect value in return. And for goodness’ sake, please don’t sneak-attack sell anyone. 4. Talking Crap: You said, “He’s so annoying the way he _____.” I heard, “I’m sure I’ll find something annoying about you and tell everyone about it.” You said, “The last company we worked with was terrible, oh, and the one before that, too. Just awful.” I heard, “I’m really difficult to deal with, will be a terrible partner, and will share my misinformed opinions with everyone I meet.” Unless there’s a material breach of ethics involved, keep your trap shut. 5. Over-promising: Expectations matter. If you promise me a miracle, I’ll expect it. If you promise me a little, I’ll be happy with a little and delighted with a little more. Being impressive is mostly about being reasonable in your projections and hitting them consistently. 6. Not My Fault: We’re human. Mistakes happen. But ever noticed how some people always have a scapegoat and even a backup scapegoat? The finger is always pointing in the other direction. Occasionally, another person might have played a role. Most of the time, it’s your own fault. Own it. 7. Lack of Patience: I’ve found that nothing worthwhile comes quickly or easily. Regardless of your goals, they will take focus, hard work, and plenty of time. Stop looking for the secret sauce or the quick fix. There aren’t any. 8. Pretend Motives: Actions have a funny way of exposing motives, particularly over time. You can pretend you want to help, but if it’s not in your heart, it will be obvious. Think deeply about why you want something, and make sure you’re transparent about it. Nothing is more off-putting than thinly veiled grabs at money, fame, or power. 9. Without Intention: Each day is packed with questions of how to spend your time, money, emotions, and focus. Do you know why you do what you do? I see lots of “ping pong people” bouncing between distractions. Pick something meaningful to accomplish and attack it. You’ll be amazed at what you can do. 10. Overcommitting: You can’t juggle an endless number of commitments. Every time you say “yes,” you’re saying “no” to something else. Eventually, things break down and blow up. Ask yourself if the commitment in question will help achieve your goals. If not, politely decline. 11. Complication: Even seemingly small choices matter. Life is packed with small corners to be cut, victimless crimes to be committed, and endless opportunities for one-night stands. Suddenly, a life that seemed so simple becomes complicated. But it doesn’t have to be. Don’t fool yourself into believing that this one time is different, because it’s not. 12. Subtraction by Addition: When things get hard, the inclination is to do more. Work more hours. Demand more from others. In the short term, it feels great. Your brain rewards you for “doing more.” But when you look back, you’ll find you accomplished less. Instead, focus on addition by subtraction. Spend more time thinking, and less time doing. Be still. Be alone. Be thoughtful. 13. B.S. : Most, it seems, have a flair for the dramatic. The temperature is always five degrees warmer or cooler than the forecast. Employee count, revenue, or profits are a multiple of reality. As someone who fights this urge, I can tell you it’s wildly unhealthy and quickly destroys trust. Just be honest and confident. Stop comparing yourself, and be grateful for whatever you actually have. The United States unemployment rate remains strong at 7.8%, but in the manufacturing industry, demand is outpacing supply with hundreds of thousands of jobs going unfilled. Will The Skills Gap Stunt Growth? Growth in the manufacturing industry is likely to remain strong in spite of the skills gap, according to a new study by Boston Consulting Group. Right now, the shortage represents less than 1% of total manufacturing workers and 8% of highly skilled manufacturing workers. But manufacturers are still feeling the crunch. Sixty-seven percent of manufacturing companies are experiencing a shortage of qualified workers, said last year’s Deloitte and Manufacturing Institute survey. More than half expect the shortage to increase within the next three to five years. To prevent the skills gap from worsening, companies need to invest in more aggressive recruiting and training efforts. Some organizations are actively addressing the skills gap problem by looking to new talent pools. Their approach is to find highly capable employees who need work, and train them to succeed. For a number of corporations, that means turning to a ready labor force of motivated candidates: military veterans transitioning from active duty to civilian employment. In 2013 General Electric, Alcoa, Boeing and Lockheed-Martin Corporation will start training military veterans with high-demand manufacturing skills. The “Get Skills to Work Coalition” will collaborate with local community and post-secondary colleges to launch specialized certification programs, said the Huffington Post’s Kevin Freking. The goal is to help 100,000 veterans and their spouses become employed within the next two years. According to Nick Zieminski at Reuters, the program will begin by training 15,000 veterans for employment with the four firms as well as other organizations. GE will provide $6 million in initial funding for the program. “The program will get its start in January at Cincinnati State Technical and Community College in Ohio, near a major GE Aviation factory, and be rolled out into nine more U.S. cities over the course of 2013,” Zieminsky said. In the next few years, older workers will retire and 2.5 million manufacturing opportunities will open up, according to Zieminsky. In the oil and gas industry alone, approximately one million employees are close to retirement age. The U.S. education system is falling short in filling this gap, said Dexter Muller, senior vice president of the community development for the Greater Memphis Chamber, in an interview for the Memphis Business Journal. “The number of high school kids taking vocational courses has diminished over the last few years, Miller says, possibly because many schools are stressing the importance of college, whether students are equipped to go or not,” wrote Michael Sheffield in the Memphis Business Journal piece. Employment opportunities in manufacturing are strong — but is it possible for the labor force to catch up? Who sells your products and services to the world? Who puts together financial reports for your business? Who makes hiring decisions? You know that having the right “who” in place for these vital roles is imperative to your operations. But what is the cost of hiring the wrong “who”? It’s hard emotionally because no one likes to fire people – except maybe Mitt Romney, and we all know what happened to him. But what is the true financial cost? The truth is that the cost of hiring the wrong person is gigantic. The industry rule of thumb is that the wrong person costs you three times his or her annual salary. A $50,000 employee costs you $150,000; a $150,000 employee costs $450,000. There’s also lost opportunity cost, business, potential customers and momentum. And then you’re back to square one looking for a replacement. In order to avoid the pitfalls that come with hiring the wrong “who”, maybe you need to focus on finding a “who” who finds “who’s”. A database of experience. Flexicrew recruiters have experience and knowledge about the types of employees that fit your environment. Growth potential. We search for a person who is going to grow as they learn, a good bet. The right conversation. Flexicrew industry experts know how to ask the right questions to find what you are looking for in a good hire. If your company is having a hard time finding the right “who’s” for vital roles, contact us today to find out more about our DIRECT HIRE services. Incorrect recruitment. You grabbed the first person breathing who looked at your job and didn’t really match their interest, attitude and skills to the position. Incorrect induction or no induction. You didn’t explain the company and how their particular role fits into the bigger picture. You were not welcoming. You didn’t explain basic internal processes and rules and the person broke the rules. Unclear communication. You were not clear in explaining what had to be done, in what order and for what reason. If you are fuzzy, what hope has a new employee without your experience of the business have of getting it right? Muddy management reporting lines. Does your employee know who their direct report is or are they getting torn between different managers telling them different things? No explanation of the code of conduct. Did you explain what acceptable and unacceptable behavior was? Poor performance management. When they were going off track, did you take time to bring them back gently on track or did you just nuke them? Did you give them feedback that there was a problem, or did you just sack them? Changing boundaries. The person was hired for one position and you changed the role and duties after they started. There will be the odd occasion where a person genuinely doesn’t care, but these are less than 1% of all new employee failures. If you find that you are having a number of new employee failures—then go back and check out where the problem really lies. You usually will find it is not with the individuals hired, but with the person doing the hiring. So, what do you do about it? When you have a vacancy, start by being really clear on the role you want to fill. What precisely will they be doing? Who do they report to? What are they accountable for? Next be clear on the person who will best fit your role – their skills, attitudes and attributes. Once you have found someone – how can you make them feel welcome, important and valued? What do you need to tell them so they quickly understand your business and “how you do things around here”. If they get off track – talk with them and explain what you really meant for them to do. Ask for feedback on your communication and act on suggestions to improve it. Guide them back on track as gently as possible. Yes, all of this takes time. But so does having to constantly hire new staff. Where would you prefer to invest your time? I’ve been tasked with implementing a workplace safety program, but I have no idea where to begin. Help! Developing a workplace safety program can take time. It is important to make the program as comprehensive as possible to create a safe work environment. Once the plan is created, you then need to develop a way to implement a workplace safety program. That involves educating employees and managers, and making everyone in the company feel responsible for making sure the safety policies of the company are being followed. Designate a health and safety officer for the company. It can be someone already in the company or a new hire, but it needs to be someone with health and safety experience and the ability to designate time each day to enforcing the health and safety policies. Educate each manager on the health and safety program. Explain to managers the penalties that could be levied by state and federal authorities if the safety rules are not followed. Create a set of penalties that will apply to every manager and employee that breaks company safety rules. Getting your management team to buy into implementing the workplace safety program is paramount in getting the employees to abide by it. Conduct monthly safety trainings with employees, and go over the various parts of the safety program. It would be helpful if you could set up demonstrations of the proper way to work safely, and the consequences of not working safely. When employees can see the danger, they are more apt to try and avoid it. Have employees sign a form saying they understood the safety training each time one is given. Supply each employee with a copy of the workplace safety program, and supply regular written updates to the program each time there is a change. Encourage employees to go to the company health and safety director with any questions about company safety, or to report incidents of potential workplace danger. What is the Greatest Challenge Facing Businesses Today? According to a recent survey of over 500 senior executives, healthcare benefits were cited as the greatest challenge facing businesses today. Thirty-five percent of these executives stated that they are refraining from hiring new employees altogether. For many businesses, healthcare costs are not a new problem. But executives claim that now the costs associated with the new healthcare reform act have made it even more difficult for them to decide to add employees. Additionally, salary and compensation costs are a main concern to 41% of the business executives surveyed. Prior to the recession, the survey showed that only 33% were troubled by salary and compensation costs. Now that healthcare laws and policies are changing, businesses are going to be put in situations where they’re faced with figuring out how to adjust their systems and processes to comply with policies instead of completely focusing on ongoing challenges facing businesses and opportunities. Flexicrew Staffing is studying the issue of healthcare reform and its effect on hiring new employees. We are preparing to present solutions to our clients in 2013 so that they can be better prepared for the upcoming changes. Please contact us if you would like to learn more. Employers who hire certain veterans can claim an expanded tax credit, but they must act soon, said Internal Revenue Service officials. Many businesses may qualify to receive thousands of dollars through the Work Opportunity Tax Credit, but only if the veteran starts work before the new year. Employers may be able to claim the expanded credit for qualified veterans who start work between Nov. 22, 2011 and Jan. 1, 2013. The maximum tax credit is $9,600 per worker for businesses, or $6,240 per worker for nonprofits. The amount of credit will depend on factors like the length of the veteran’s unemployment before being hired, the number of hours he/she works and his/her wages during the first year of employment. Employers hiring veterans with service-related disabilities may be eligible for the maximum tax credit. Employers must file Form 8850, Pre-Screening Notice and Certification Request for the Work Opportunity Credit, with their state workforce agency within 28 days after the qualified veteran starts work. For additional information, visit the U.S. Department of Labor’s Work Opportunity Tax Credit website. Visit IRS.gov and enter “WOTC” in the search field for forms and more details about the expanded tax credit for hiring veterans. Fears about Washington’s inability to avoid looming tax increases and spending cuts have eclipsed concerns about Europe’s debt crisis, top business executives said Tuesday, worrying that political gridlock might tip the economy into recession next year. President Barack Obama will begin budget negotiations with congressional leaders Friday by calling for $1.6 trillion in additional tax revenue over the next decade, far more than Republicans are likely to accept. At a Wall Street Journal CEO Council conference in Washington, 73% of participants surveyed said their primary concern was the “fiscal cliff,” the federal spending cuts and tax increases that begin in January unless policy makers intervene. Only 12% said their top fear was Europe’s financial turmoil. Separately, Bank of America Corp. Chief Executive Brian Moynihan said at an investor conference in New York Tuesday that uncertainty about U.S. tax and spending policies has prevented many clients from investing. The concerns will be front and center at a White House meeting Wednesday between President Barack Obama and 12 chief executives, including Wal-Mart Stores Inc.’s Michael Duke and PepsiCo Inc.’s Indra Nooyi. Mr. Obama and Congress are seeking to craft a long-term deficit-reduction package that could replace the fiscal cliff, but they have made little progress and have just seven weeks to cut a deal. The fiscal cliff would raise taxes roughly by $400 billion and cut spending by roughly $100 billion in 2013 compared with 2012 levels. Several economists say the measures would cause another recession. Democrats and Republicans said they want to enact a package of long-term measures to reduce the federal budget deficit, which has exceeded $1 trillion for four straight years, but they are divided over issues related to taxes and big entitlement programs like Medicare. Mr. Obama and House Speaker John Boehner (R., Ohio) have suggested they are open to compromise and don’t want to replay the brinkmanship that occurred last year during a fight over raising the government’s borrowing limit. But negotiations are almost certain to spill into mid-December, and perhaps even beyond. Several CEOs said this uncertainty has prompted them to make contingency plans for layoffs and prepare for a sharp economic contraction, which is holding back investment. Business leaders and policy makers have known of the fiscal cliff since it was created last year as part of the deal to raise the debt ceiling. But few paid much attention to it because they were focused on the presidential race. “The narrative of the country was completely dominated by the election, and that’s changing currently,” said Stephen Schwarzman, chief executive of the Blackstone Group., a private-equity firm. Different business sectors are split over what policy makers should do. Some have called for Congress to extend all expiring tax cuts for at least another year. Others have said Congress should raise taxes as part of a broader deficit-reduction plan that cuts spending on Medicare and Social Security. And some say fears of the fiscal cliff are overblown. Seifi Ghasemi, CEO of Rockwood Holdings Inc., a manufacturer of specialty chemicals, said preventing another war in the Middle East over Iran and bolstering Europe’s economy are bigger concerns than the fiscal cliff. —Siobhan Hughes and Michael R. Crittenden contributed to this article. Political smarts come naturally to some people, while others have to learn the hard way. Here are some strategies you can adopt if you want to demonstrate more political intelligence at work. 1. Partner with your boss. Unless you have unique and irreplaceable knowledge or skills (or are related to the CEO), your boss has more power than you do. So it’s better to have your boss as a cheerleader than an adversary. Politically savvy people know how to “manage up.” Get to know your boss, volunteer to help with special projects, champion his/her causes in the workplace. The more you assist, the more valuable you become. 2. Be a 360˚ team player. With a wide network of relationships, you will have more information about what’s going on. And if people are willing to cooperate and collaborate with you, you will produce better results. Politically savvy people develop positive relationships in all directions – with management, peers, and employees. No one can appreciate you if they don’t know what you’re doing. But that doesn’t mean you should become an insufferable braggart. Find natural ways to mention achievements and challenges, like sending regular progress reports to your boss or chatting about your projects at lunch. Politically savvy people share information without being obnoxious. 4. Connect with the power people. The big decisions about your career will be made by other people, so you need to be sure they know who you are. Politically savvy people enjoy talking to folks who have power (which is not the same as sucking up). 5. Commit to the business. An indifferent, apathetic attitude never impressed anyone. If you want decision-makers to think well of you, you need to be interested in and excited about the business – because you can bet that they are! Be proactive about your job and eventually people will notice. Politically savvy people choose a career that they find interesting and energizing. You can’t fake enthusiasm for long. Used with permission – Your Office Coach – Marie G. McIntyre, Ph.D.
As you may already have found out the hard way, hiring friends and family is not always a good move for you – either for you personally or for your business. Before you commit to it, you should consider some very important aspects of working with family and friends. Just because you get along well in your personal life does not mean that you will get along equally as well with friends and family once you work with them. Often the additional time spent together becomes a strain, even for married couples who have been together for years. There is something to be said for time apart and individual interests. It can be very difficult for your sibling, parent, relative, friend, or spouse to respect you as a boss, and even difficult for you to feel comfortable “bossing” them, regardless of how wonderful an employer you may be. And, really, how well suited or qualified your friend or family member is for the position he or she will hold? Being a nice person or a deserving person does not make someone qualified for a job – only experience and expertise can do that. And putting an under-qualified person in a position could be detrimental to your company; it could be a liability, too. Managing disagreements starts with prevention. If you decide to employ family and friends you will need to define roles and responsibilities as well as the structure and hierarchy of the business from the very beginning. Have clear policies and expectations, and hold each person accountable as you would any other employee. Seperate business from personal and make that a priority from the onset. At its best, working with family and friends can be a very rewarding experience. At its worst it can be detrimental to business and personal relationships. Temp-to-hire staffing allows companies to hire the candidate as a contractor with the right to convert to a permanent employee after a pre-determined period, typically six months. This staffing method started before the recession, but became a much more common method of hiring following the downsizing and budget cuts that came with the economic downturn. 1) Large organizations have a difficult time “firing” employees that are underperforming or a cultural misfit. Firing an employee for cause requires extensive documentation and even with the paperwork in place, can still result in a frivolous lawsuit. Temp-to-hire staffing allows employers to make better permanent hiring decisions based on actual performance. Companies are now hiring candidates that are proven to be good at what they do. 2) Because temp-to-hire is the ultimate trial period, it allows the companies to make faster hiring decisions. 3) Temp-to-hire staffing eliminates the one-time fee to an employment agency. 1) Accepting a permanent position typically requires a candidate stay at a company for 2+ years to avoid being labeled a “job-hopper”. However, they base the decision to make this 2+ year commitment on a few interviews where everyone puts their best foot forward. Would you commit to a 2 year relationship with a companion after 1-3 dates? Unlikely. Temp-to-perm hiring allows the candidate to spend 6 months getting to know their company “warts-and-all” before committing to a longer-term relationship. 2) There is typically a final negotiation at the end of the contract period before the person joins permanent. This can allow the salary offer to be based on actual performance. That can be a huge benefit for employees who excel at what they do. 3) Hazard Pay! For the consulting period, the candidate will get paid typically 10%-15% above the target base salary (based on a 40 hour week) for the risk of not being a permanent employee right away. This allows candidates to save additional money in their “rainy day fund” during their contract period. 4) Candidates get paid for every hour they work. This often leads to either a 40 hour/week cap (which few permanent roles offer) or the ability to make substantially higher compensation due to hours worked during the contract period. 5) Due to your firm’s ability to weed out underperformers and cultural misfits, the permanent staff is often a more cohesive unit and of higher median skill. The net-net of this is that Temp-to-Perm hiring has many benefits for small to large companies and to potential candidates. Try before you buy! Q. Flexicrew found us a receptionist and we decided to hire her on a temp-to-hire basis. She’s been here for about a month now and we all think she’s perfect. Do we have to wait for the end of the temp-to-hire period before we hire her, or could we do that now? A. You don’t have to wait. In fact, if you are sure you want to hire somebody you should do that as soon as possible to remove any question of losing them. Just call up your account rep and they’ll walk you through what you need to do to hire them right now. Should hourly employees get paid for checking email at home? October 20th, 2012 • Employment Agency, Uncategorized • Comments Off on Should hourly employees get paid for checking email at home? Those smartphones and BlackBerrys that enable work anytime, anywhere are increasingly blurring the lines between work life and personal life — and introducing the sticky issue of when overtime is owed to workers. The always-connected worker and the pressures of the uncertain economy have led many to feel they should always be working — because they can, thanks to the growing use of smartphones. That’s allowing work to bleed into evenings, weekends and even sleep, with some people taking their phones and BlackBerrys to bed with them. And the situation becomes tricky for hourly employees, who qualify for overtime. Overtime laws are abused by companies “on a daily basis,” she said. For employers, “that’s an area of exposure and it’s coming like a freight train,” said Atlanta based attorney David Long-Daniels. By giving hourly employees BlackBerrys or access through iConnect or Citrix, “you’ve implicitly told them to work,” he said. Long-Daniels advises companies not to allow hourly employees and others who qualify for overtime to use BlackBerrys or remote access to their work computers, unless they’re told to record time when using the devices and the company has a system in place to record the hours. The workplace has changed dramatically over the past 20 years. Baby boomers are retiring and a younger generation comes with a very different perception of what their workplace should be and the benefits they expect. Generation Y employees are looking for more feedback, responsibility and involvement in decision making and employers need to change in order to attract and retain these younger employees. Who can do this job if she quits? A survey released in late 2011 found roughly one-third of employees are considering leaving their job. What?! In 2012, 47% of all employees will be those born after 1977 (aka Generation Y). These employees have a different approach to work, and studies predict that this group will switch jobs frequently. So succession planning is key in maintaining the knowledge bank of the company. Cross-training also gives your employees a sense of empowerment when they understand multiple facets of your business. Corporate training and development is important but the focus should move from the traditional classroom style to programs that are social, informal and on-demand. Think about using online training courses that are short in duration (30 minutes). Introduce more fun and games into meetings and training sessions and include point systems to foster friendly competition. Reward for performance – cash bonuses, PTO days, public recognition – as part of a benefit package are very successful retention tools. Businesses will need to better use social media to attract new talent to their organizations as well as use social media to retain those already in the company. Recruiting and staffing companies are becoming much better with using social media tools as part of an overall talent acquisition strategy. Using a staffing company is a cost effective choice for overwhelmed HR teams of small to medium-sized businesses. The work/life balance required by Generation Y is different from what it was 50 years ago. As mobile devices like smart phones and tablets have us plugged in to the company 24/7, employees sometimes require alternative work solutions. Perhaps offering occasional telecommuting could be an option for your business. We’d love to hear your thoughts. What HR trends did you experience in 2011? What HR trends do you expect to see in your HR hiring practices for 2012? Determine how much training costs. Some positions require a long time to train people, so choose the easier positions first. Break down the jobs of the more difficult positions, and train one job at a time to save money. Efficiency eventually pays you back. Tell your employees what you’re doing and why. Let them know that this is to maintain an efficient team and not to replace anyone. Avoid rushing. You’ve been without cross training in prior times, so there’s no need to accomplish all of the training quickly. Beginning the program is the first step. Set goals that are attainable. Pick one job and candidate and begin. Create a schooled to cross train your staff. List each job and form a time line to make the transitions smoother and reduce the chaos of ongoing training. Choose both the trainees and trainers with care. Make certain that the people who are being crossed trained are capable and that the trainers understand their jobs well enough to teach. Remind your staff of the opportunity that cross training gives them. Let them be aware that additional training in these areas provides a great deal of job security. Hold meetings and allow the cross trained individuals to report the progress. Let them tell others of their experience and what they found most challenging. This helps improve the understanding and appreciation for all the jobs among the staff. We all love to hate it, but exercise can help to improve your mood, combat chronic diseases and manage your weight. It also strengthens your lungs and heart, improves your sleep, and gives you more energy. While all of that is very important, one of the best benefits of exercise is to relieve your stress! How? Exercise boosts your endorphins, which are hormonal substances in the brain that create a sense of euphoria sometimes called a “runner’s high”. Focusing on your body movements redirects your thoughts away from the stresses of your day and regular exercise elevates mood and reduces mild cases of anxiety and depression. The key to using exercise as a tool to improve your health and reduce your stress is to do something you enjoy. While one of my best friends loves the gym I don’t connect with gym life. So when she heads to the gym I am headed to the yoga studio or the hiking trails. Moderate exercise is defined as getting your heart rate up to a point where it is difficult to have a conversation while exercising. Exercising 5-6 times per week for 30-45 minutes per day is the best way to release the stress that’s weighing you down. Things you can do today!